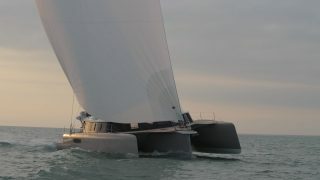 The NEEL 45 and NEEL 65 trimarans are completely innovative and unique compared to the development pattern of existing cruising trimarans. 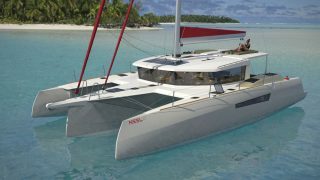 NEEL has created a new aesthetic in naval architecture. 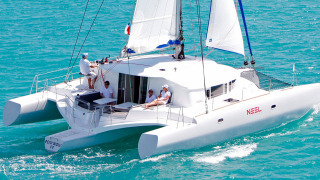 The NEEL innovation is the integration of the two outriggers with the connecting platform into a unified living space, which includes the bridge, a central galley, and a magnificent panoramic lounge. 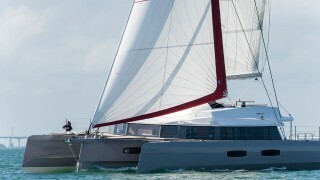 The proportions of the trimaran offer a generous roof area, guaranteeing internal volume. The entire volume of the central hull is devoted to systems – the engine, electronics, electrical wiring and plumbing, diesel and water tanks as well as long-term supplies storage. The large space available in the lazarette and the high headroom ensure easy access for maintenance of equipment and easy optional installation of generators, desalinators or air conditioning. The furniture comes in a choice of several contemporary materials. The floors are covered with ultra-resistant high-tech woven polyester which comes in a wide range of colours.